Confessions of a Web Geek | DigitalHipster Inc.
I’m a geek web designer because I use three different browsers at all times and because I relentlessly search for information on my iPhone, laptop and even TV. I love learning about the subtleties and nuances of how the world’s biggest competitors and “smartest guys in the room” determine what they show as relevant for a particular search. It can vary drastically across the major search engines like Google, Bing and Yahoo. Depending on what area of the country you are searching in, you will also get localized results. But the changes don’t end there. 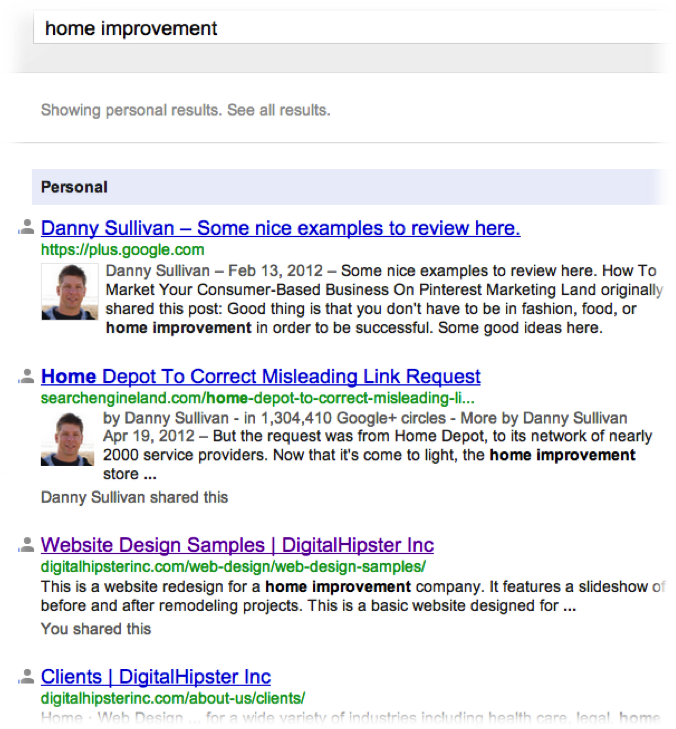 Google+ shows personal results in search. 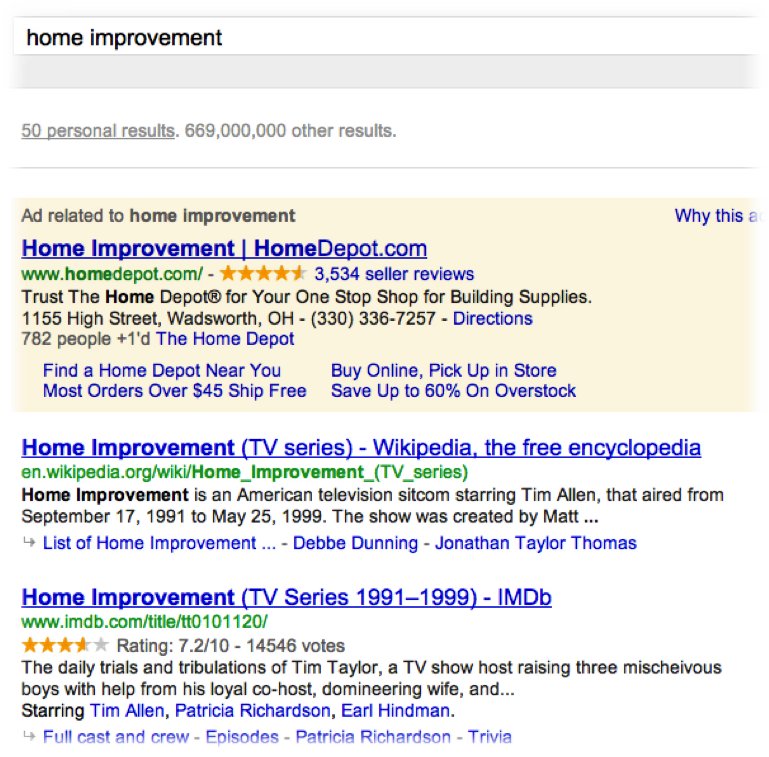 Selecting “personal results” shows people and companies you are linked to that have relevant results for your search. If you are logged into a Google app, email account, YouTube or anything else Google owns; Google will now show you personalized results from others on Google+ who you have in circles. Currently that’s in excess of 15-20% of all Google users and growing. 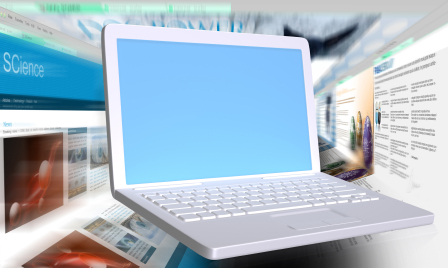 Once you click on a link to a website, the browser you are using helps determine how you’ll experience the website. The major browsers which are Firefox, Safari, Chrome (and yes, some people still user Internet Explorer) all update their software regularly. In web design, it’s essential to keep up with these updates because every browser reads code like CSS, HTML etc. a little differently. In turn this means that they display your website differently. This can mean dramatic image changes, like a header graphic being off center or even entire pages of content not being displayed. Internet Explorer is notorious for not playing like the others. While new content management platforms like WordPress and Joomla have made the process easier, they still rely on plug-ins from third parties that need to be updated regularly. Also, various CSS code tweaks need to be done appropriately to ensure a uniform display on all browsers. This is where most amateur web designers run into trouble and where we often pick up the work. We’ll try to share more about web design for multiple browsers and mobile platforms in an upcoming blog. 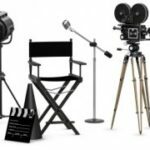 How much is video production?